Gallagher Benefit Services Canada Names Melanie Jeannotte New National President | Arthur J. Gallagher & Co.
TORONTO, Feb. 5, 2019 /PRNewswire/ -- Arthur J. Gallagher & Co., a global leader in insurance brokerage, risk management, and consulting services, announced Melanie Jeannotte as its new National President of Gallagher Benefit Services (Canada) Group Inc. Prior to her promotion, Jeannotte served as Area President, Western Canada for Gallagher's Benefits & HR Consulting Practice. Leslie Lemenager, President of Gallagher's International Employee Benefits Consulting and Brokerage, shared, "We are proud to be locally grown and globally known. Our business in Canada has reached a size where it is important to evolve our management structure to scale for the future. 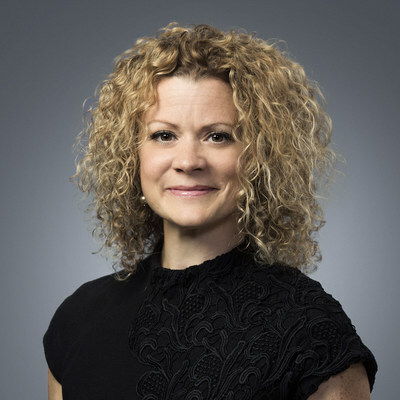 Given Melanie's leadership skills and expertise in growing businesses, naming her to this new role of National President for GBS Canada will enable us to continue to expand our client-service capabilities across Canada." The company's comprehensive approach to Benefits & HR Consulting goes well beyond basic health care coverage. Its total wellbeing framework involves a spectrum of innovative solutions encompassing benefits, retirement, employee communications and workplace culture programs. It's an approach focused on attracting and retaining top talent while driving greater productivity, profitability and organizational growth. Jeannotte remarked, "I'm excited for this new opportunity and to be a part of GBS Canada's tremendous growth story. I feel fortunate to work alongside some of the best consulting experts across the country." She continued, "Together, we have unlimited opportunity to help employers of all sizes manage their benefits and HR programs more strategically to reward and attract the talent they need to grow while benefiting their balance sheets."